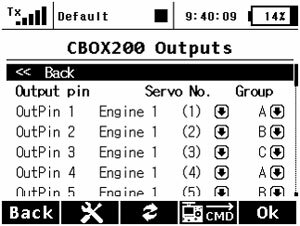 The JetiBox monitor/programmer can be used for parameter setting and retrieving data. 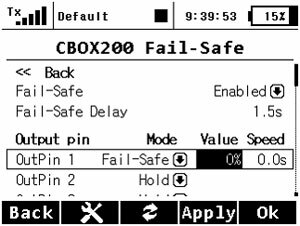 After connecting to the Central Box (Ext1), a startup screen appears that contains identification of the device in the first line of the JetiBox display. 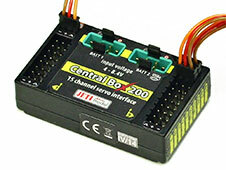 The power batteries are connected to the Central Box using MPX connectors. 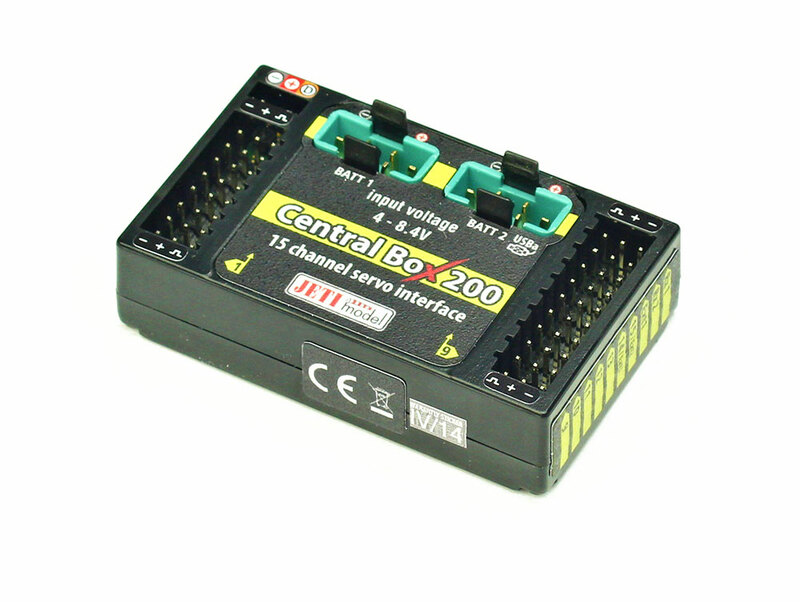 The Central Box allows two batteries to be connected. During use, the power is actually supplied from the battery with the higher voltage. 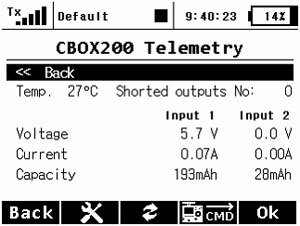 If the voltage is the same, the power can be used from both batteries at the same time. 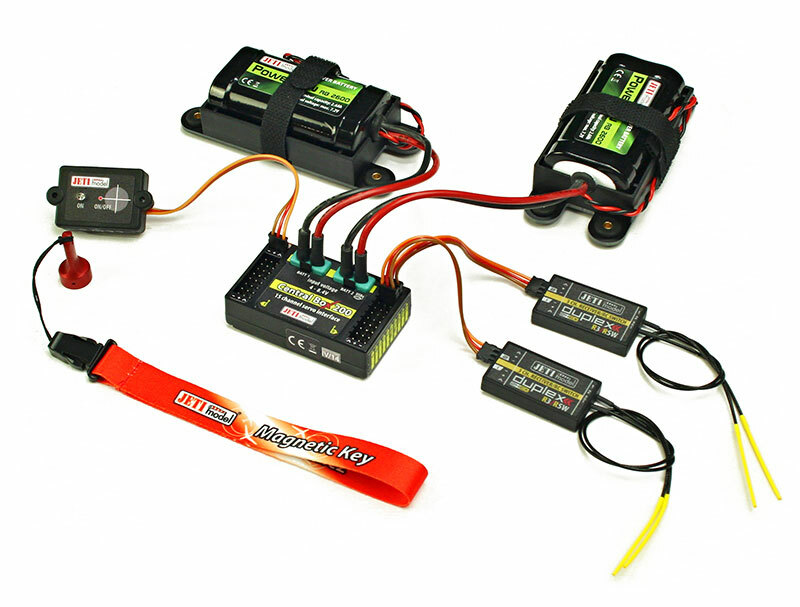 When the voltage of the batteries is different, the power is not shared and each pack is isolated from the other. This allows you to use batteries of different capacity, number of cells and chemistry type. 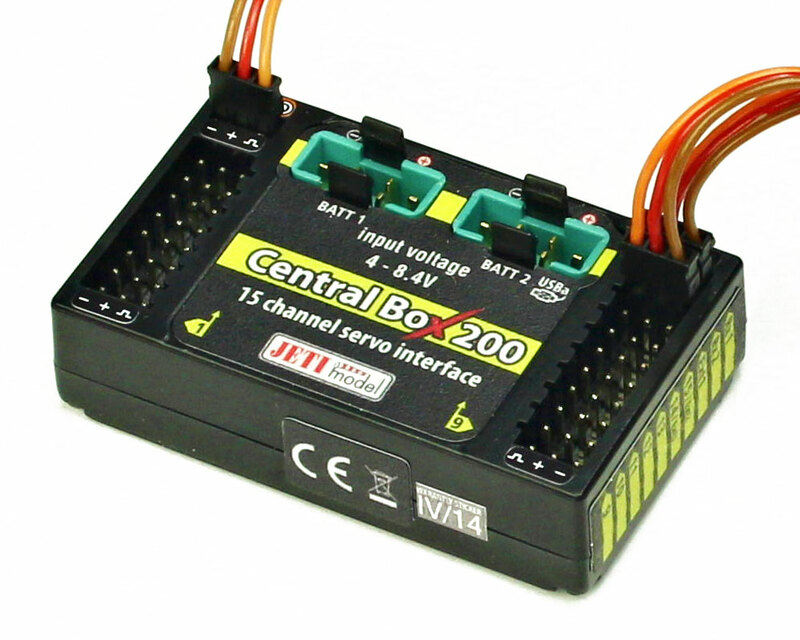 If the power for the Central Box is provided only from one battery, it can be connected via battery (BATT1) Input. 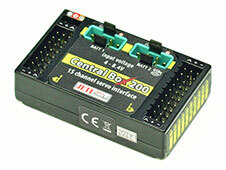 The magnetic switch is used to turn the Central Box ON/OFF and is connected to a separate slot labeled "Switch". 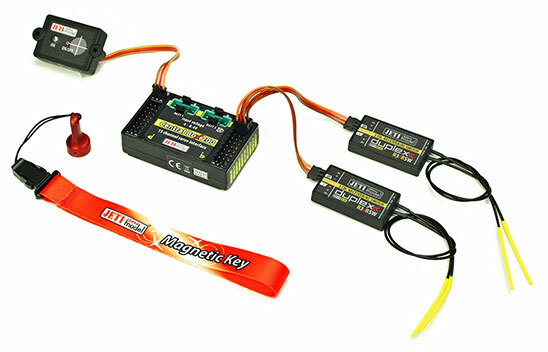 To turn on the Central Box using the magnetic switch it is necessary to hold the supplied magnet (key) to the target so that the key and the target on the magnetic switch are properly oriented. 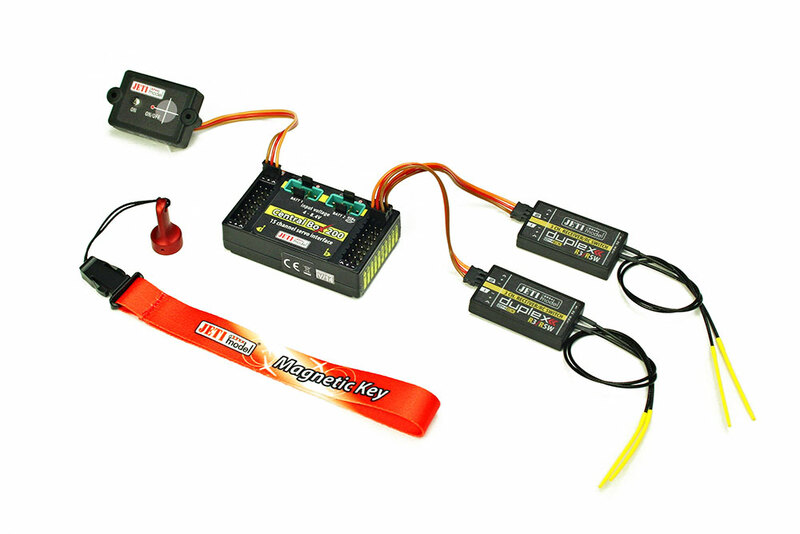 State-of-the-art device that sets Jeti as a leading designer and manufacturer of radio control systems. Wireless power switch is fully integrated into the 2.4GHz radio system. For first time your receiver can be turned ON/OFF with simple flipping of the switch wirelessly from the Jeti DC/DS transmitters.